One way we found to keep children occupied for hours, is to have an outdoor kids sandbox in the backyard. Kids have always liked to play with sand, with a plastic bucket and shovel and a big truck or two. They should also be able to play outdoors in the sunshine and fresh air as much as possible. A sand pit provides them with the best of both worlds. 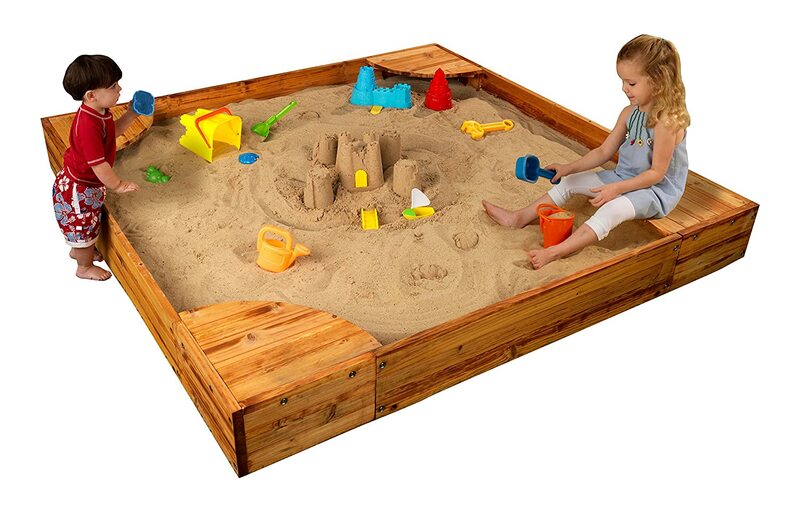 The traditional material for a sandbox has probably been wood but I think plastic sand boxes are now preferable. Plastic is lightweight which is useful should you need to reposition it somewhere in the yard. It’s also easier to keep clean - usually a wipe over with a wet cloth will suffice. 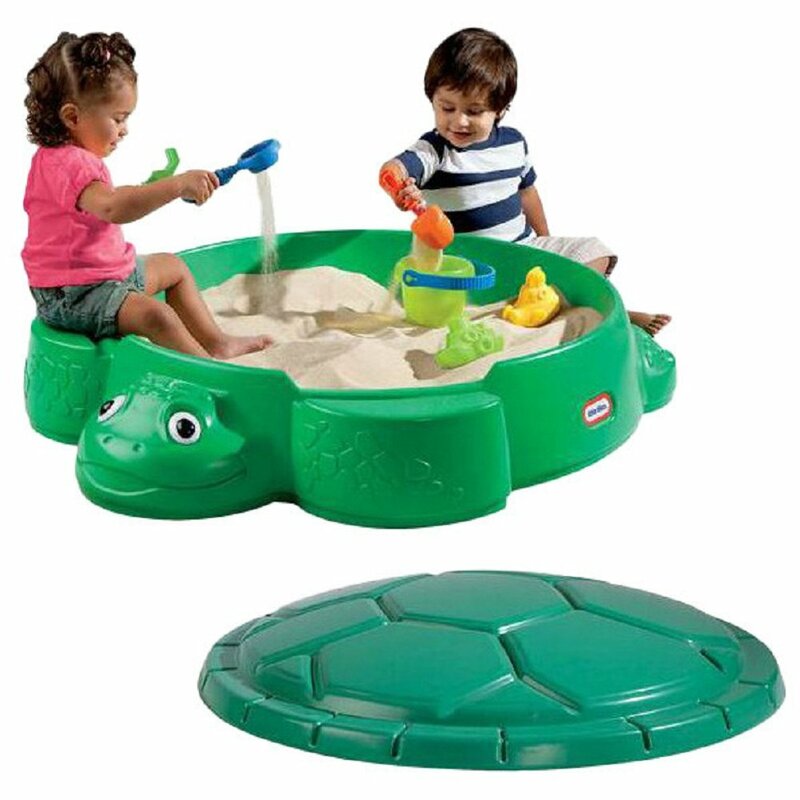 And plastic sand pits come in bright colors with special details molded into the designs, which the kids love. Wooden versions can be much larger and if you are keen on DIY you could easily make one yourself, but on balance I think plastic boxes are the best option. Sand capacity up to 9.07 kg. Drain plug for easy cleaning. Easily located anywhere in yard. Recommended ages: 2 - 8 years. Additional gameplay from molded roadways in lid - nice touch! 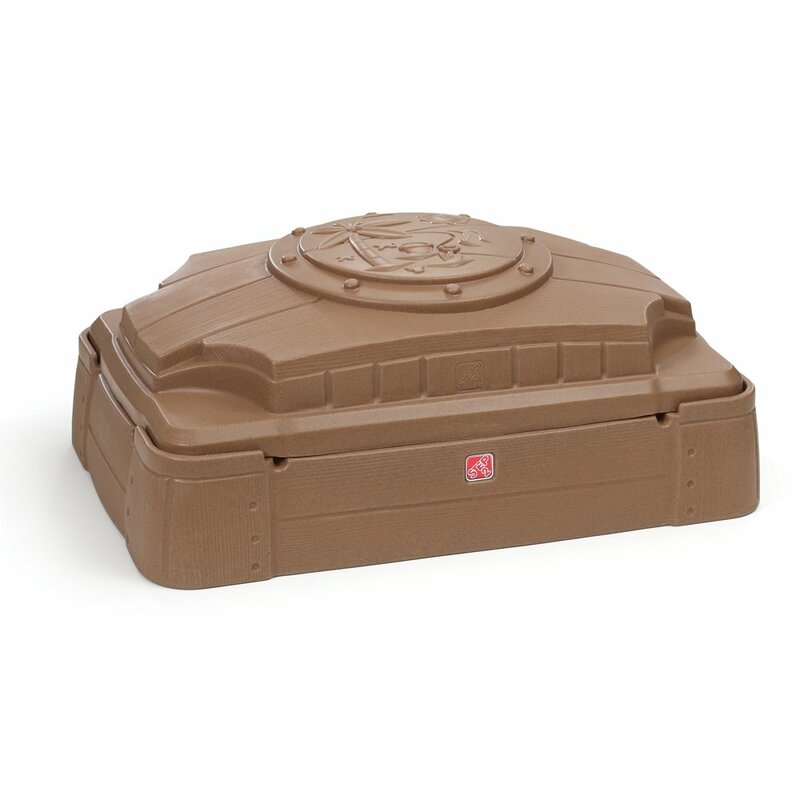 Round plastic sandbox with lid - keeps sand clean. Kids seating ledges molded along rim. Green color blends into backyard setting. Fun sun theme design - blends into backyard. Molded seating areas in the corners. Sand capacity - 200 lbs. Can alternatively be used as a children's garden. Traditional wooden sandbox for the backyard. Needs to be assembled - full instructions included. Seating ledges in each corner. Needs a lot of sand - about 800 / 900 lbs. Dimensions: Length 59" x Width 59" x Height 8 1/2". Is supplied with a lightweight mesh cover, but you'll probably prefer to buy a separate tarpaulin for adequate protection from the weather and animals. Lid provides protection from weather and animals. Molded seats in lid and base for kids to sit and play. Keep your Sandbox Safe and Healthy! As a parent or grandparent you will want to ensure the kids playing with sand in your backyard are doing so in a safe and healthy manner. Make sure they realize that sand is not for eating! Check there are no leaking diapers that could contaminate the sand. When children are playing under a hot sun, make sure they have a canopy to protect them from the sun’s rays. 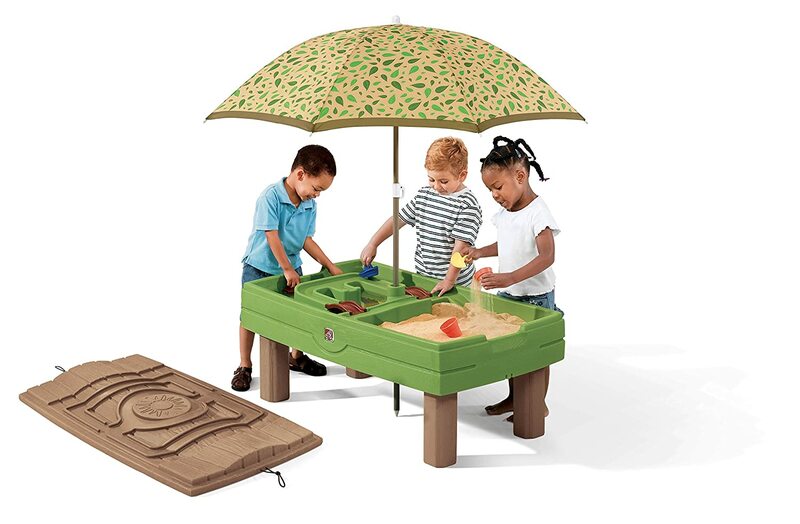 Some sand boxes are supplied with an umbrella. Childrens’ hands and bare feet should be washed after they’ve played in sand. Sand should be changed a minimum of twice a year if the sandbox is in regular use. Cleaning it during the play season is important too. The sand needs to be sanitized to kill off any bacteria that may be present. Backyard play is important in developing all manner of skills for kids, and for getting regular exercise. 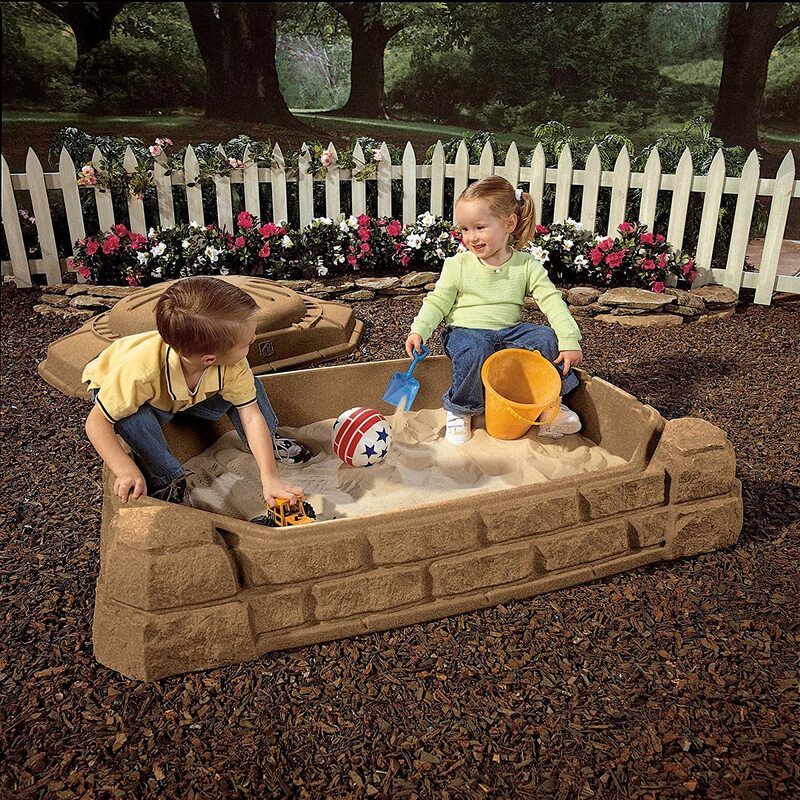 A sand box like one of these above could be a great way to introduce some outdoor fun for the little 'uns in your backyard.